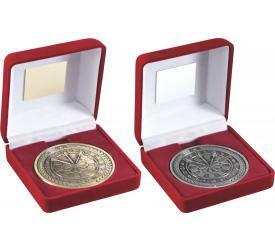 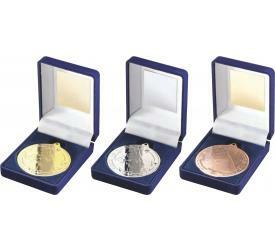 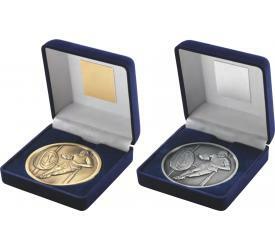 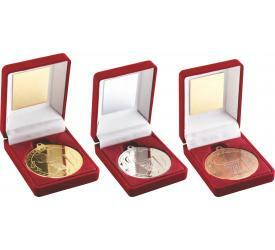 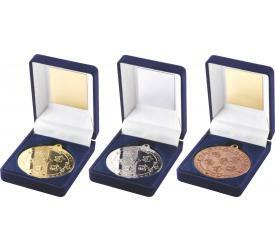 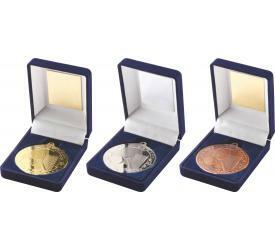 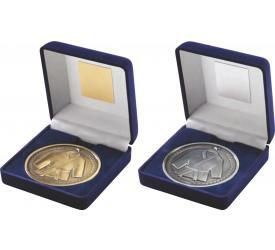 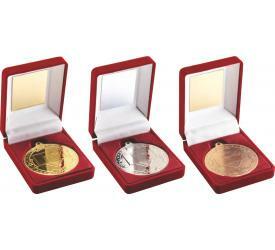 Why not add a little bit more to the presentation of your medal by choosing one of our boxed medals. Our boxed medals come in a range of different designs and styles, ideal for all types of events and competitions. 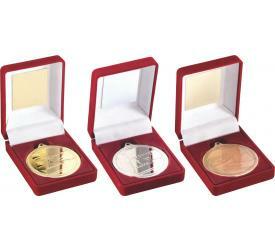 Gold, silver and bronze, whatever you're looking for we're sure to have it. 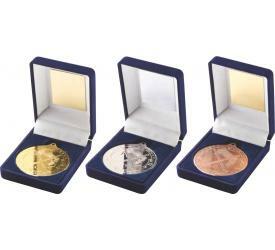 We offer free engraving on our boxed medals up to 20 characters. 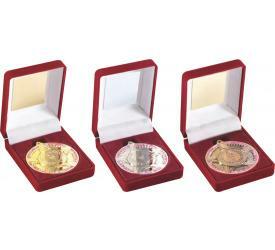 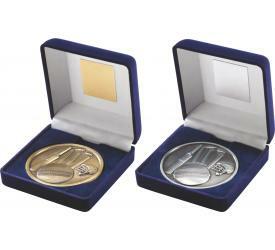 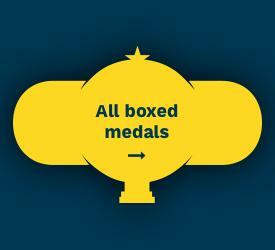 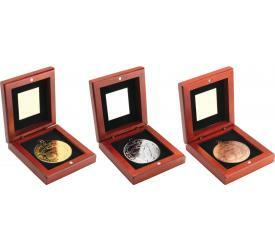 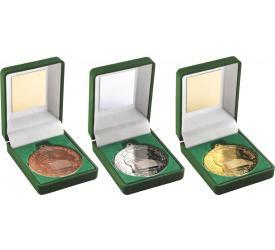 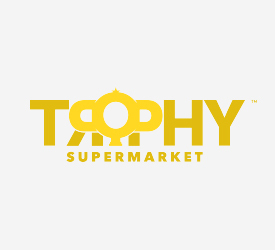 Browse our range of boxed medals below.